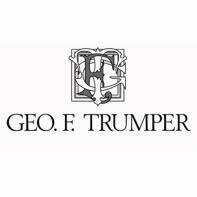 Geo F Trumper Coral Skin Tonic is a light non-greasy aftershave treatment, prepared with natural oils. The Skin Tonic is fragranced with the classic scent of Geo F Trumper's Coral, a light rose scent that is not overly floral, it's a popular scent among men. The Coral Skin Tonic contains Rose Water, so using this product after shaving will prevent your skin from drying out, and will help your skin maintain its natural softness and moisture. Alcohol free also, meaning the product is ideal for those suffering from sensitive skin. Apply a small amount before your shaving cream/soap to soften the bristles and prepare your skin for the shave ahead. Apply a small amount onto shaved skin to add some subtly fragranced moisture back into your skin. A fantastic product that we're sure you'll still love for years to come. Subtly scented and very effective, we love this pre and post shave tonic! Click here to browse our range of post shave treatments if this isn't exactly what you're looking for.